WASHINGTON, D.C. – Consumers Union, the policy and mobilization arm of Consumer Reports, today applauded the settlement package announced by the Department of Justice (DOJ), Environmental Protection Agency (EPA) and the Federal Trade Commission (FTC) to address Volkswagen intentionally installing software to circumvent the emissions control system in nearly 500,000 2.0-liter diesel vehicles sold in the U.S and evade emissions standards. “Today’s agreement forces Volkswagen to make consumers whole, after having ripped them off. We’re pleased that VW owners and lessees have the option to choose what to do with their faulty cars, and get significant cash compensation regardless of their choice,” said William Wallace, policy analyst for Consumers Union. “We applaud regulators for their work to ensure that the settlement also addresses the environmental and air quality impacts of these faulty vehicles. This unprecedented settlement – the largest in automotive history – and forthcoming civil and criminal penalties should send a strong message to deter companies who look to boost their bottom lines by conning consumers and lying to the government. “We appreciate the opportunity to comment on the consent decree. We will be watching closely to make sure that VW follows through on its commitments to both consumers and the environment, that separate settlements are reached for cars that are not part of today’s announcement, and that the government’s penalties for VW’s deceit are substantial,” said Wallace. As we approach the Fourth of July holiday weekend Michelin tires and AAA have teamed up to offer six safe travel tips. B: Begin with a Safety Check: It’s better to be safe than sorry. Conduct periodic safety checks to ensure your car is in good operating condition, especially before a long trip. Before you hit the road, make sure your lights, fluids, hoses, windshield wipers and tires are in good working order. E: Employ the Penny Test: Tires are the only part of your car that touches the road, so ensuring they’re in good condition for maximum grip is of the utmost importance. Make sure your tires have the proper amount of tread before hitting the road, especially with the possibility of unexpected summer showers. Click here to learn how easy it is to do this with a penny. And if you decide your tires need replacing, you might want to consider a great all-season tire like the Pilot Sport A/S 3 Plus, which delivers true all-season performance and superior wet and dry braking. S: Stay Safe, Check Your Pressure: Tires don’t carry the weight of your vehicle, the pressure inside them does. Underinflated tires offer less traction, can reduce fuel efficiency, wear out prematurely and, most importantly, suffer unnoticeable and irreparable damage that compromises their performance and safety. In fact, under inflation is one of the most common reasons for tire failure. As a general rule, your tire pressure will gain or lose 1 PSI (pound per square inch) for every 10° F change in temperature. Check your air pressure when tires are ‘cold’ in the morning and compare that number to the sticker in your doorjamb before hitting the road for holiday travel. Don’t forget to check the air in your spare, too. A: Avoid overloading: Consider leaving your extra suitcase at home when seeking out sun and sand, and be sure to clear out any extra junk that may have accumulated in your car over the winter. Lightening your load will positively impact your gas mileage, handling and braking distance. F: Focus on the Road: While on the road, focus fully on driving. Any activities that could divert your attention should be avoided while at the wheel. This includes things like using your phone, snacking, or reaching into the backseat to attend to a child or pet. Save these actions for a rest stop, or if necessary, pull over to the side of the road. E: Emergency Preparedness: Always carry a well-stocked emergency kit in your car that includes items such as jumper cables, flashlight with extra batteries, reflective triangles, first aid kit, water and non-perishable food items. It’s also a good idea to program your cell phone with emergency numbers, including that of your roadside assistance provider, and keep a backup written list in your glove compartment. NASHVILLE, Tenn. – To raise awareness for proper tire care and maintenance, Nissan is celebrating National Tire Safety Week from May 29 to June 4 by reminding vehicle owners of the significant role tires play in keeping them safe on the road. IRVINE, Calif., April 14, 2016 – Distracted driving is defined as any activity that could divert a person’s attention away from the primary task of driving. While nearly every state in the U.S., as well as Washington D.C., has laws prohibiting the use of mobile phones while driving, a new survey by Kelley Blue Book reveals that 61 percent of drivers continue to multi-task from behind the wheel. 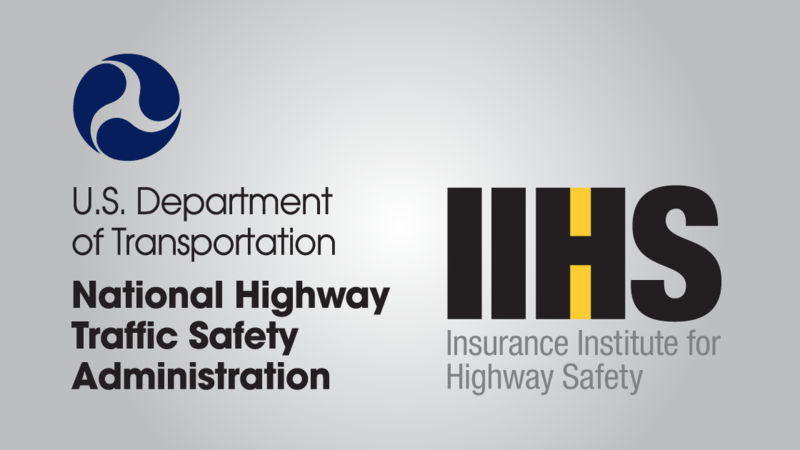 Hyundai Motor America praised the National Highway Traffic Safety Administration (NHTSA), the Insurance Institute for Highway Safety (IIHS) and the automotive industry for working together to make Automatic Emergency Braking (AEB) a standard feature on new cars in the future. The group has developed a voluntary commitment to make AEB standard on all new cars no later than NHTSA’s 2022 reporting year, according to a Hyundai press release. Standardizing key safety features at Hyundai began with the application of standard side airbag protection across the Hyundai lineup in 2003: making it the first non-luxury brand to achieve this level of passive safety technology. In 2004, Hyundai introduced the Tucson, the first under-$20,000 SUV, with standard Electronic Stability Control and six standard airbags. In 2006 the Sonata was the industry’s first and only mid-size sedan with standard Electronic Stability Control. Having a “bullet proof” car is an oft-used phrase meant in most cases to highly the vehicle’s reliability. For many of today’s first responders that means something entirely different. Ford announced today it will offer ballistic panels on its Police Interceptor sedan and utility with protection from armor-piercing rifle ammunition. In the event of a crash, advanced safety technology directs impact forces away from the occupants. Crumple zones are strategically placed in the frame or body of the vehicle, further absorbing and dissipating the energy of a crash to reduce intrusion into the occupant compartment.